You can also retrieve referrer details using shortcode offered by this plugin (this doesn’t require you to use the API). 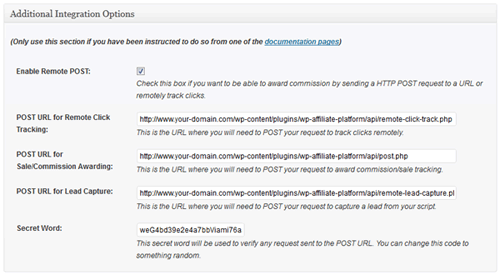 Once you enable it, you can start to send request to a URL to retrieve affiliate’s info programmatically. $info = "email"; //What info to retrieve. In this case, the email address. If the affiliate ID you specified in the request is invalid (doesn’t exist), then it will show an error. Otherwise, it will show the value of the field.